I have not always been a big proponent on traditions. I used to see that as a sign of an insincere faith. As I have experimented with the contemplative life over the past year or so, though, I have seen the beauty in traditions that unite people across the globe and across the years. I have been using the Book of Common Prayer personally on a semi-regular basis and use its Daily Office Readings before each class that I teach. What has become so attractive to me about the BCP is that it connects me with Christians from all over the world. I can know that a multitude of Christians are reading the same texts I am reading, that they are praying the same prayers that I am praying. I do not have to agree with every theological and doctrinal point in the BCP to benefit from the sense of connection. It is not called Common Prayer because the prayers are ordinary, but because when we pray its prayers and read its texts we have something in common, we are connected, we are united. 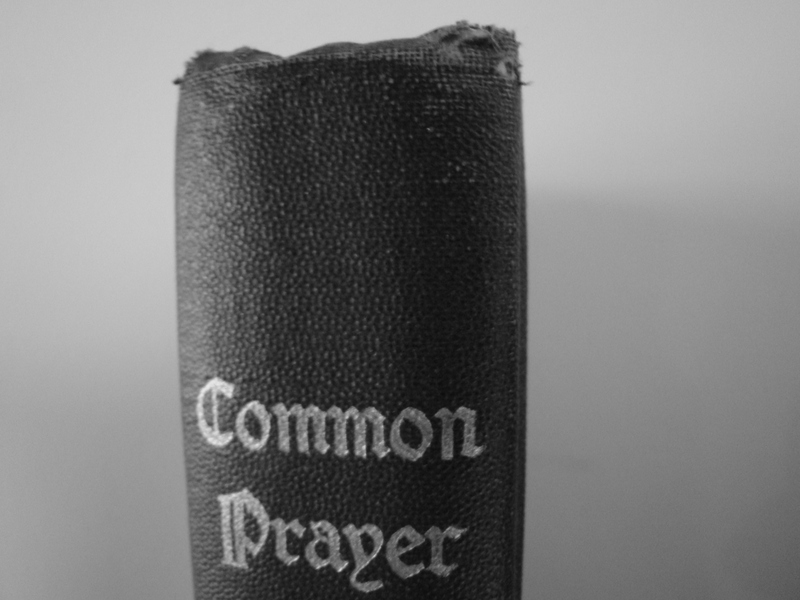 NB: The picture is of my 1929 copy of the Book of Common prayer.